Porsche DNA in Executive Styling. When the Porsche Panamera was first unveiled in 2010, it took quite some time for it's distinctive design to be readily accepted amongst Porsche fans. 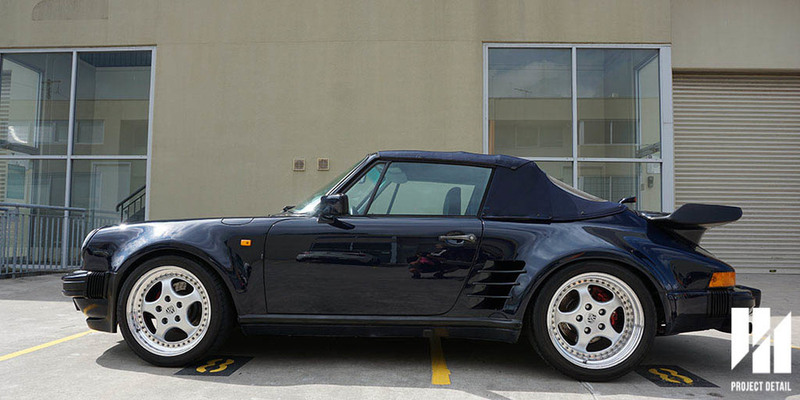 Those who were looking for daily drivers preferred the ever popular Cayenne and soon after Macan models. However, in more recent years gradual acceptance has built a strong case for the Panamera and Porsche certainly see's it that way by releasing the second generation of the Panamera due to launch in 2017. The owner of this Panamera was one such Porsche fan having purchased the car without conviction, it wasn't until the unrivalled comfort over long distances combined with a better handling sensation versus his Cayenne that he really fell in love with the large sedan. 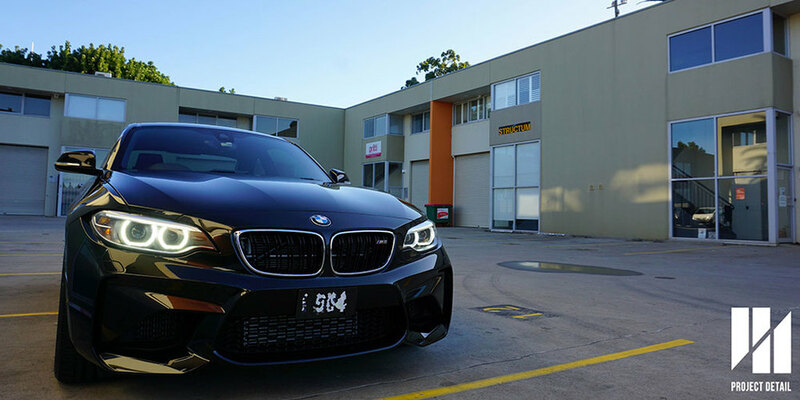 One of the key elements to providing the best possible results is in the inspection and preparation work on any vehicle after the wash and decontamination phase. 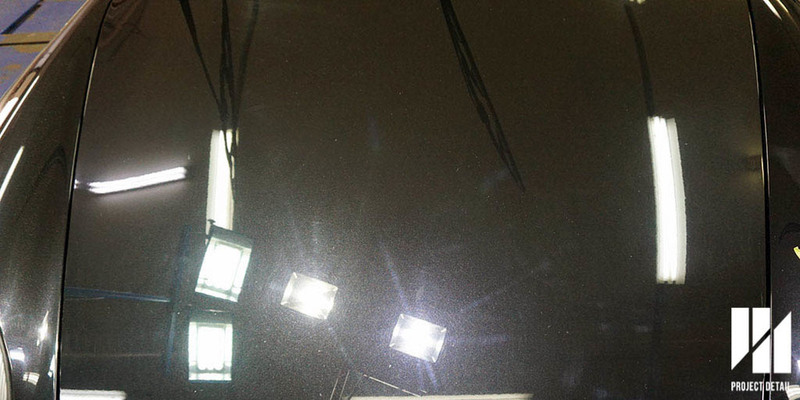 The Panamera had signs of light holograms possibly from when it was delivered to the owner. 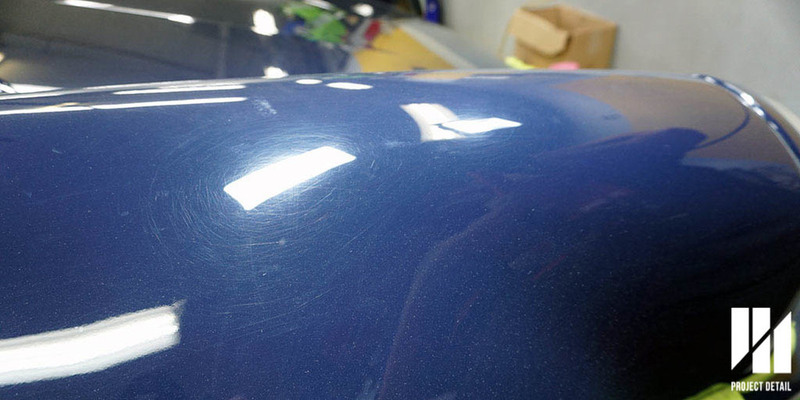 Furthermore, although it's quite hard to see in the photos the car did have light to medium swirl marks present which needed to be polished and removed before applying the Modesta coating. 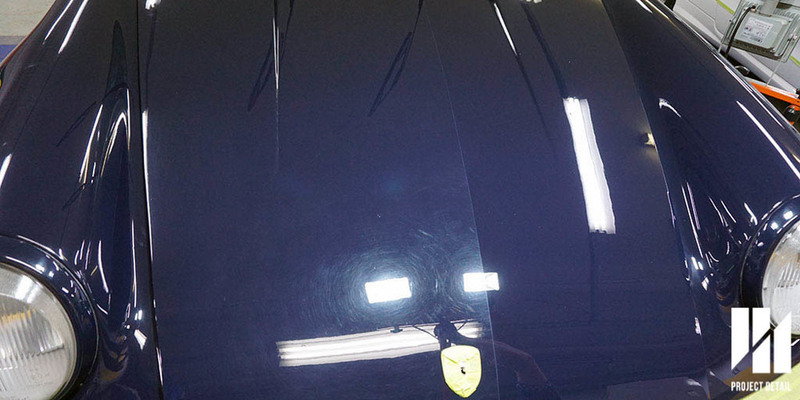 Inspection beforehand lets us see the defects present; swirl marks and buffing holograms. 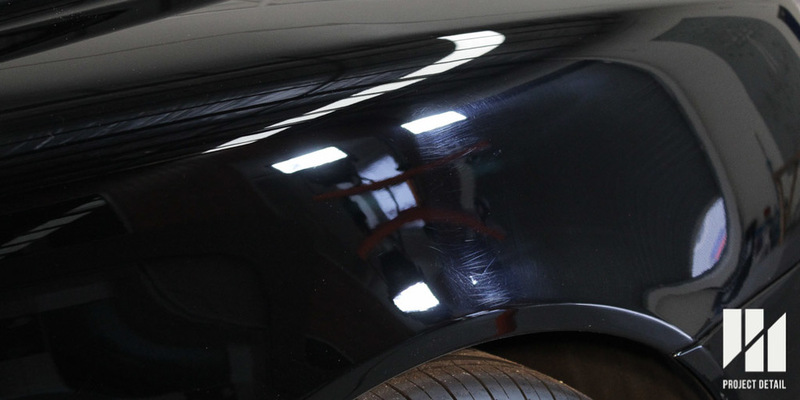 The inspection is extremely important as it allows the detailer to note down any issues in addition to paint defects, we report any scratches, dents or other would be issues for the owner. 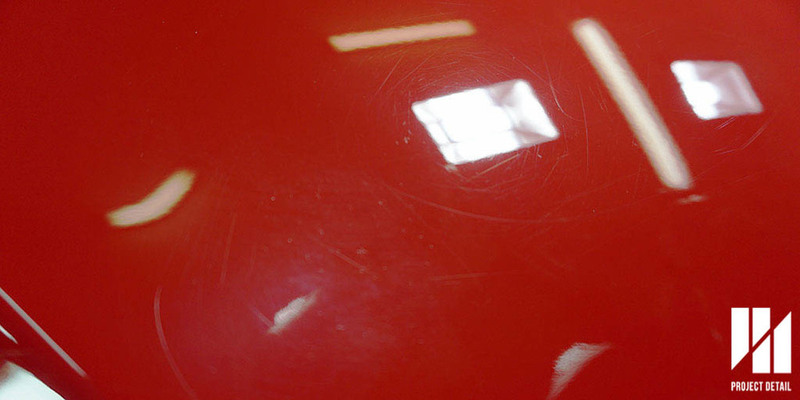 The 3 photos in the next slideshow shows a deep scratch on the rear extendable wing & a deep scuff mark both of which will need wet sanding to remove and the general swirl marks on the door. As we inspect the car, any areas we notice we place a small piece of green tape. 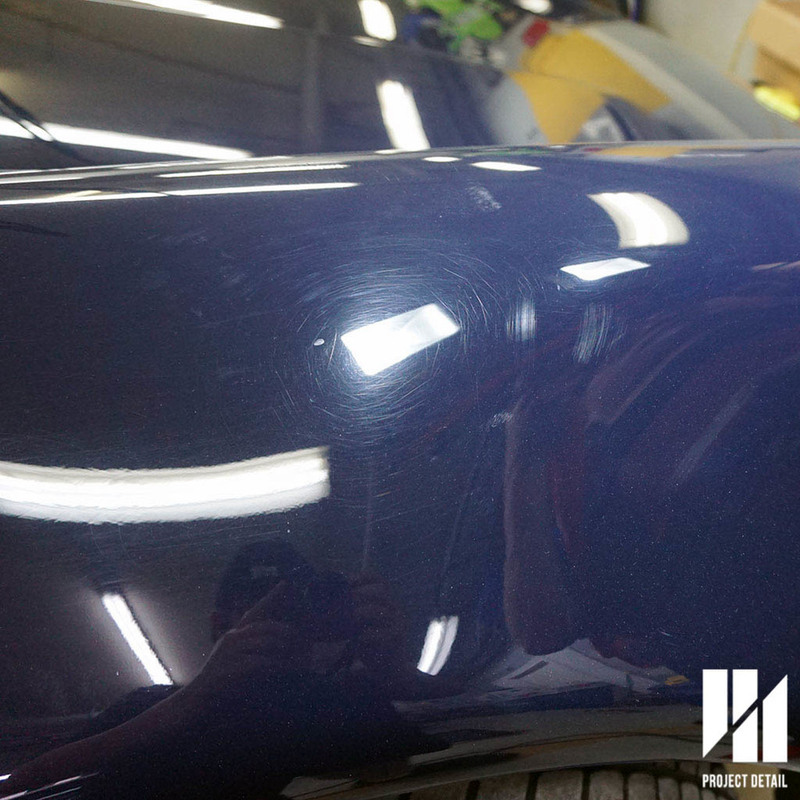 This usually represents a deeper scratch or something where we would need to inspect again as we move onto the paint correction phase. 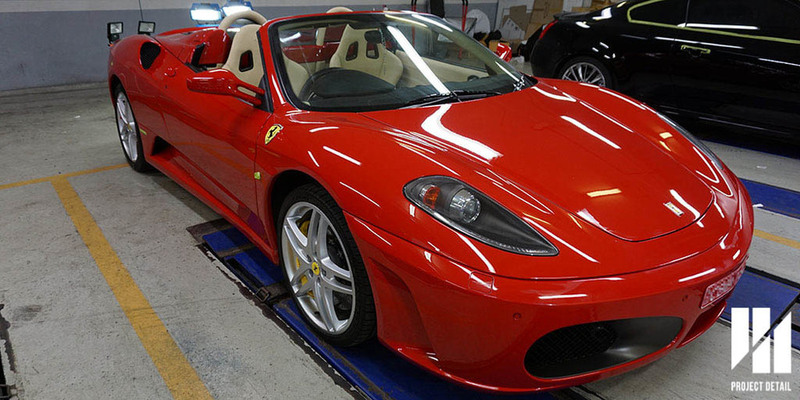 The vehicle is finished inspection and read for paint correction. The green masking tape either protected sensitive areas or is a highlight for potentially troublesome areas worth revisiting. One of the biggest standout features with Modesta is that it not only has a range of high quality coatings but an entire range of supporting products too. Every single one of these products has passed strenuous research and development phases, which for the installer like Project Detail, we can be assured that the results are going to meet expectations. Modesta C-02 is a highly specialised cutting compound which allows installers to produce the best results possible compared to other products on the market which contain fillers or oils. 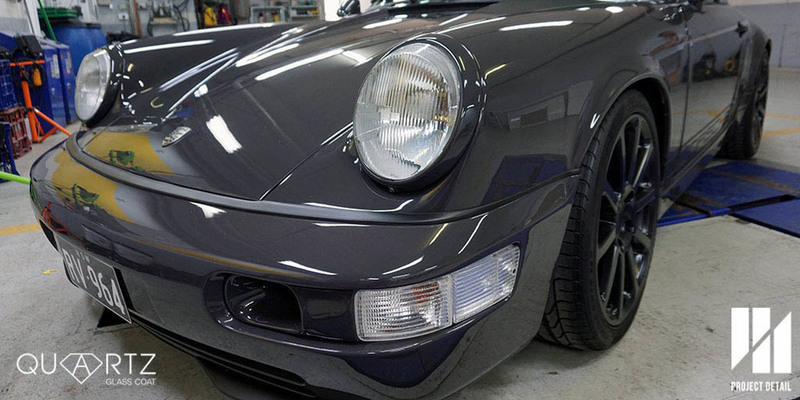 Paint Correction is a specialised form of machine polishing or 'buffing' with a machine. 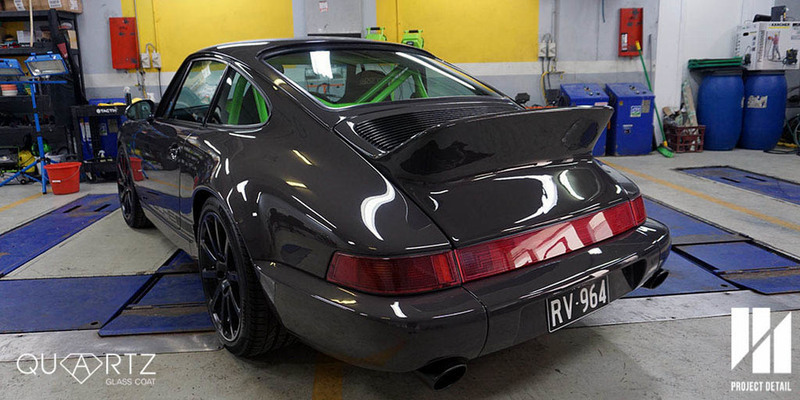 At Project Detail we use a combination of the more current machines in order to produce the expected results, such as the Rupes Bigfoot polishing System or the Flex VRG 3401 forced rotation polisher. Combined with the latest dual action or 'random orbital' machines we also have machines of different sizes and also our set of rotary tools. 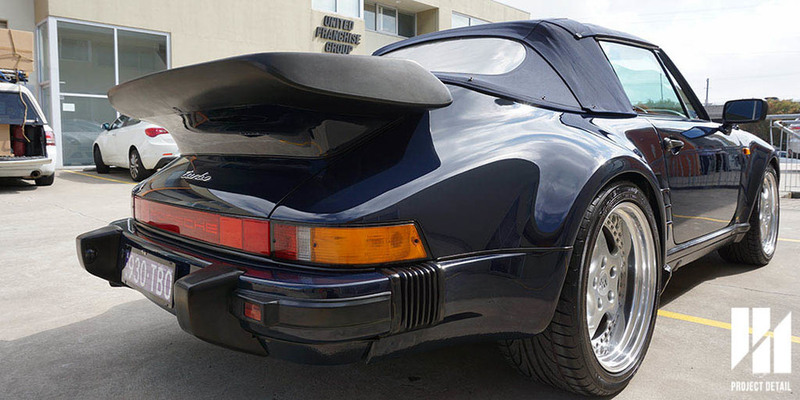 While rotary tools are less commonly used, it's still a powerful and much needed part of the detailers arsenal. 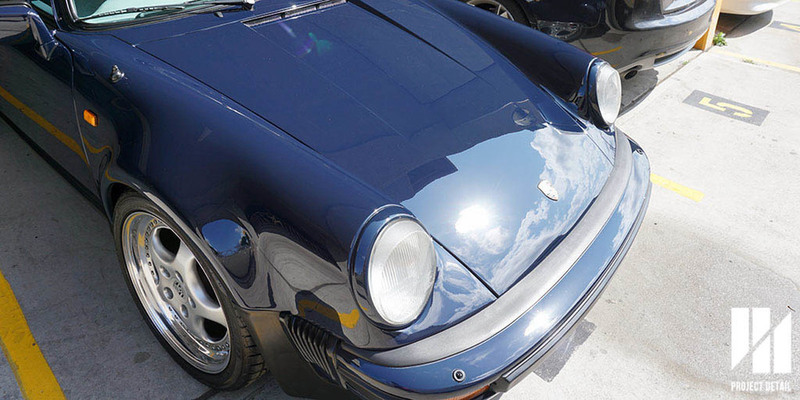 Paint Correction consists of two main elements; compounding and polishing. 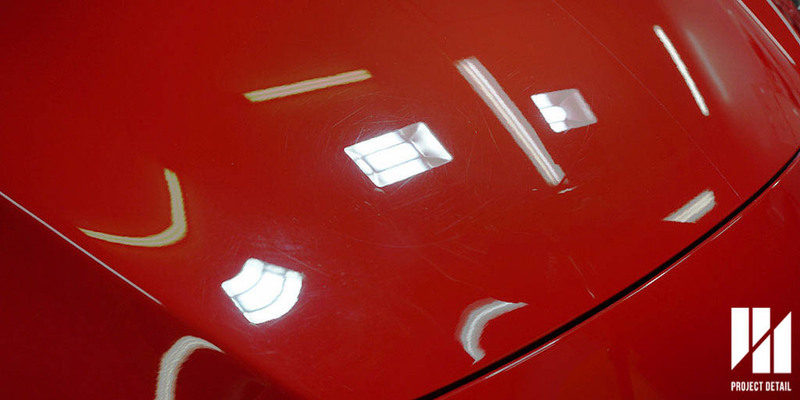 Compounding focusses on removal of defects such as swirl marks, light to medium scratches, oxidised paintwork and water spots. 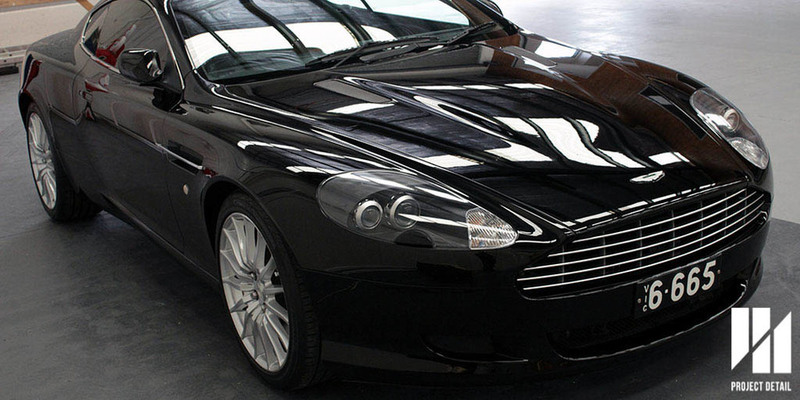 Polishing is the secondary phase and this begins to jewel the paintwork to a highly glossy and clear finish rather then removing defects. 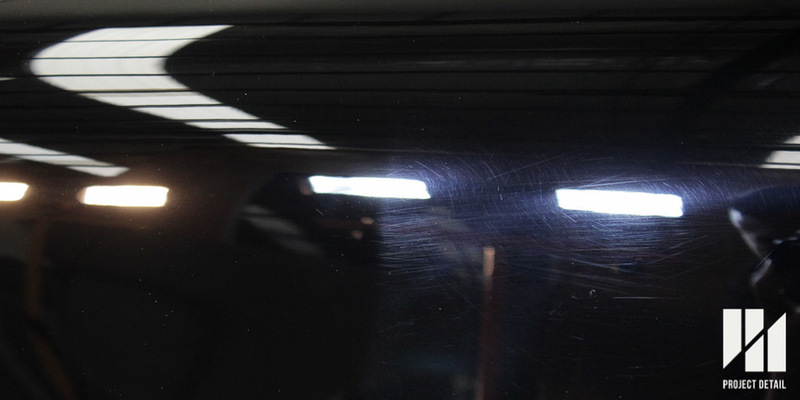 More on paint correction can be found by clicking here. 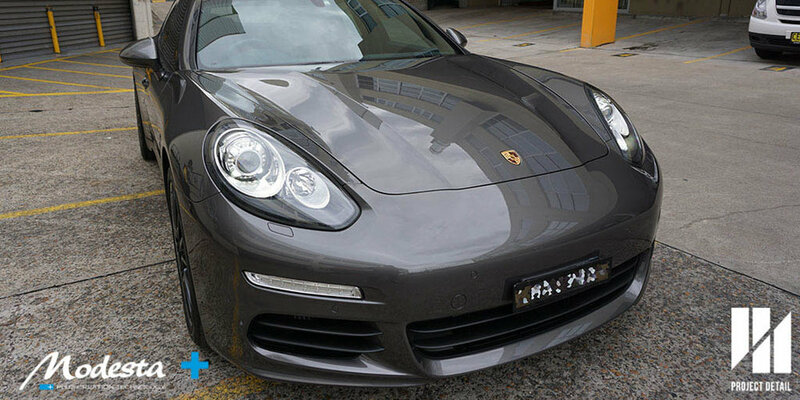 On this Porsche Panamera, Modesta C-02 made light work with the swirl marks and light scratches present on the body. 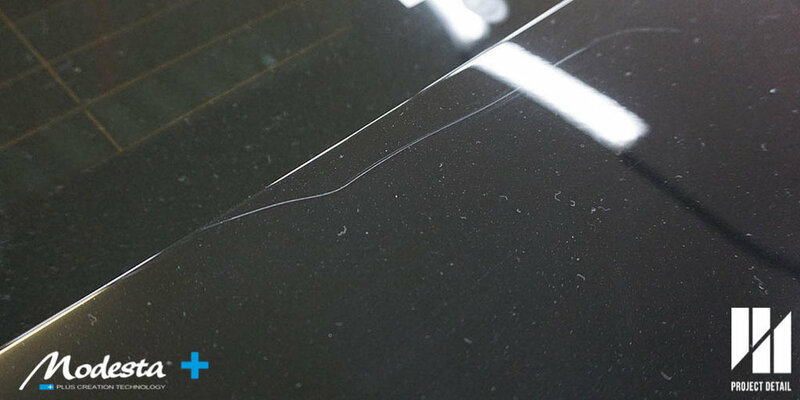 This allowed us more time to focus on troublesome areas, like the deep scratches and scuff mark previously show. 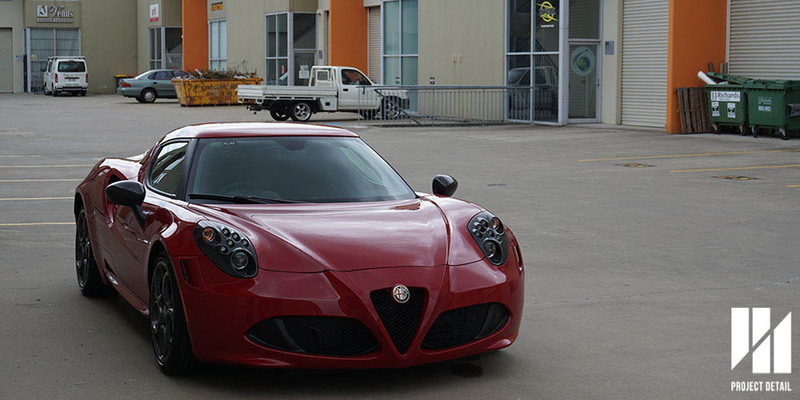 Modesta P-01A, BC05 and M1Shot make up just some of the range within the Modesta System. Once the compounding phase work was completed, we then moved onto the finishing steps using Modesta P-01A. 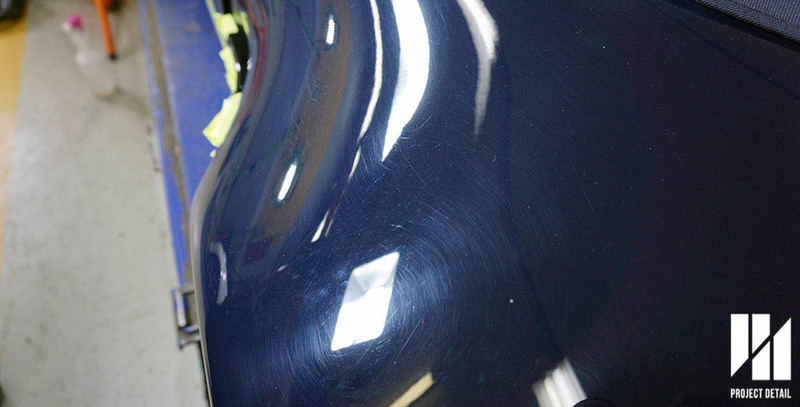 This is Modesta's specialised Primer and in our experience is a truly unique product. 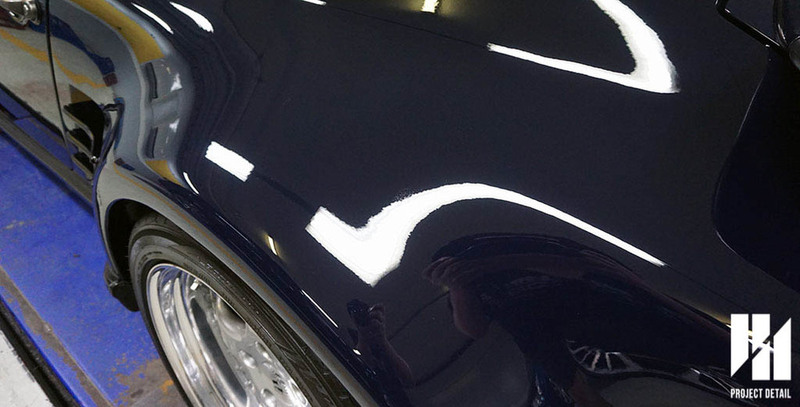 Often imitated by other coatings brands, this primer is not only a very effective finishing polishing which leaves the paintwork with extreme clarity and gloss but also contains a special Alkyd Resin coating. 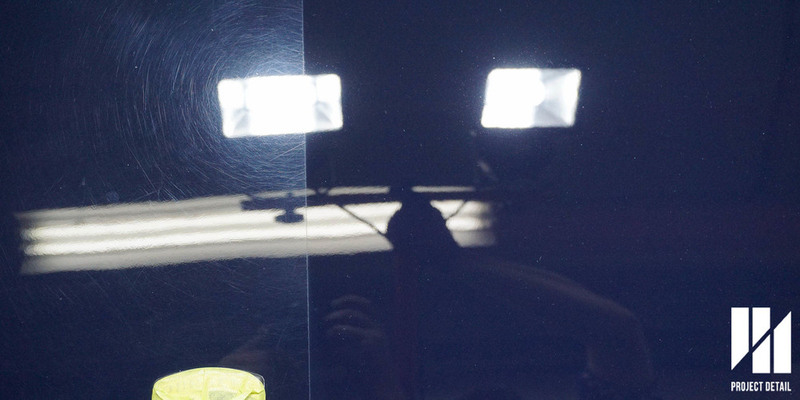 This Resin coating performs two functions, primarily as a bonding agent promoting a stronger catalyst for the incoming glass coating and secondly the Alkyd resin provides a better surface to protect the paintwork during the coating application phase. 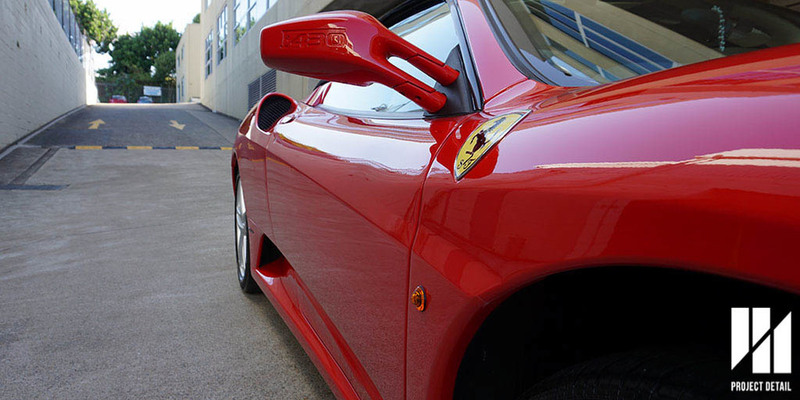 BC-05 is one of the choices of Modesta Coatings, it is a very effective hydrophobic coating. 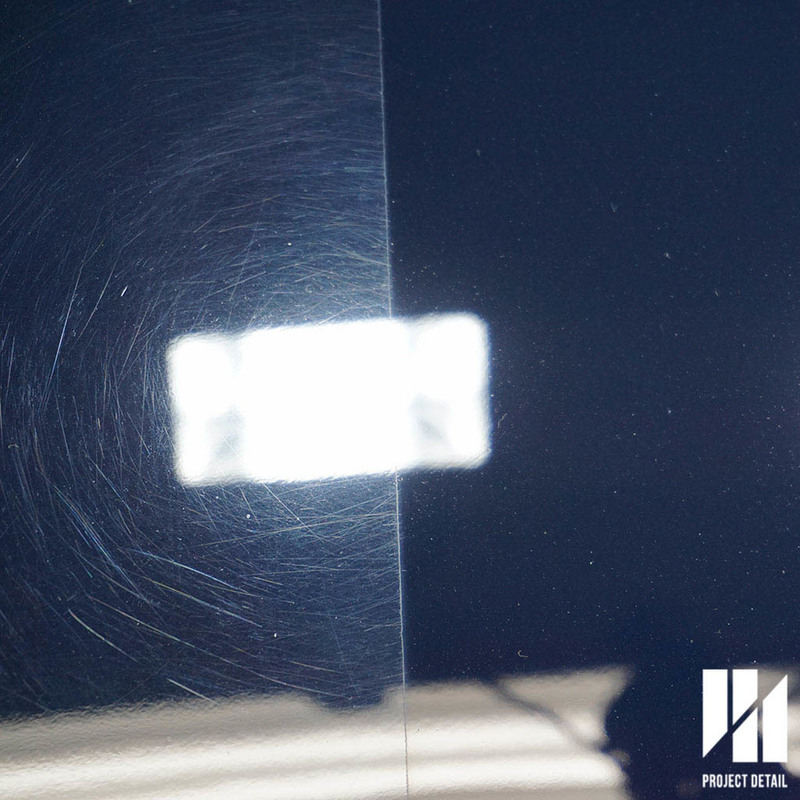 One of the key differences between Modesta and other coatings we have used previously is the application. Yes, the results are outstanding but the application itself is where the long term results are built. 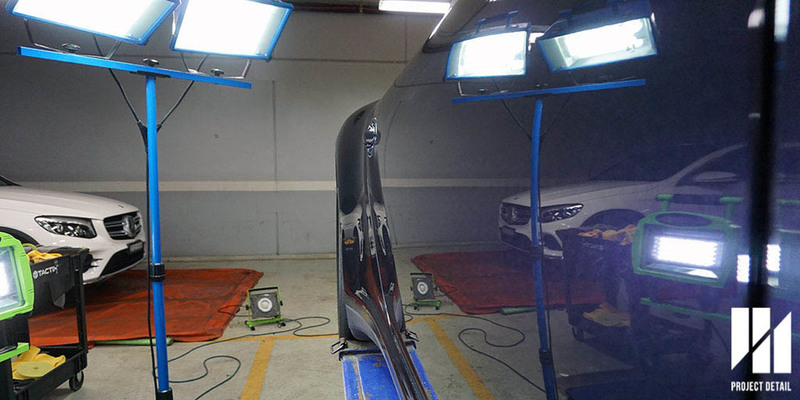 In the past, when we applied other coatings such as professional level ceramic 9h coatings, the process was very straight forward. 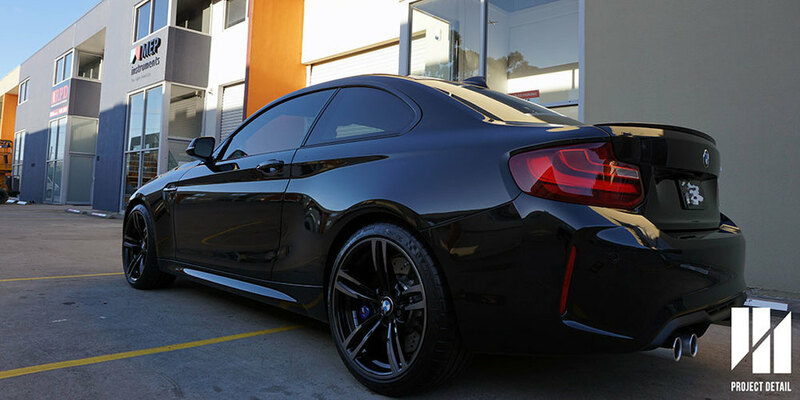 Easy to apply, wipe on and wipe off and no special curing required. 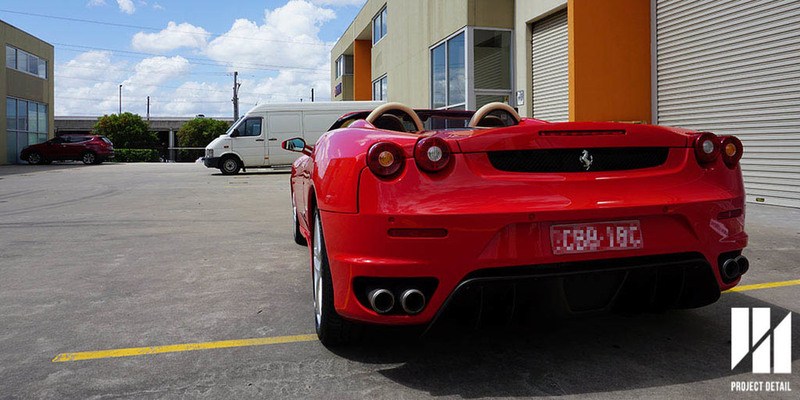 The customer was able to pick their car up within a few hours. 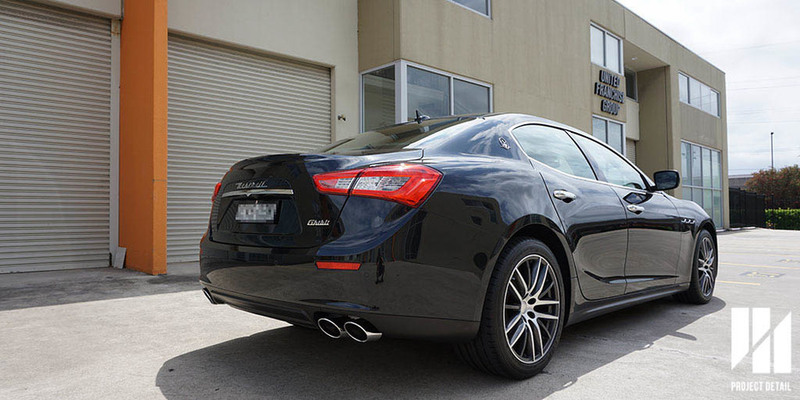 Modesta's coatings in general are much thicker than the competitors for starters, this makes the application process much more tedious and time consuming. Furthermore, the curing time can be extensive even with the aid of infrared curing. 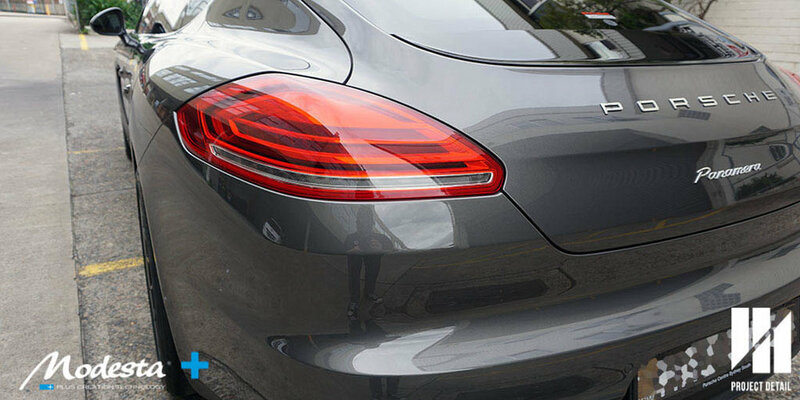 The combination for example on this Panamera, of P-01A and BC-05 is a total of 10-15μm versus the other ceramic coatings rating of 0.2-1μm. This is a significant difference which is why Modesta bears the results that it does. 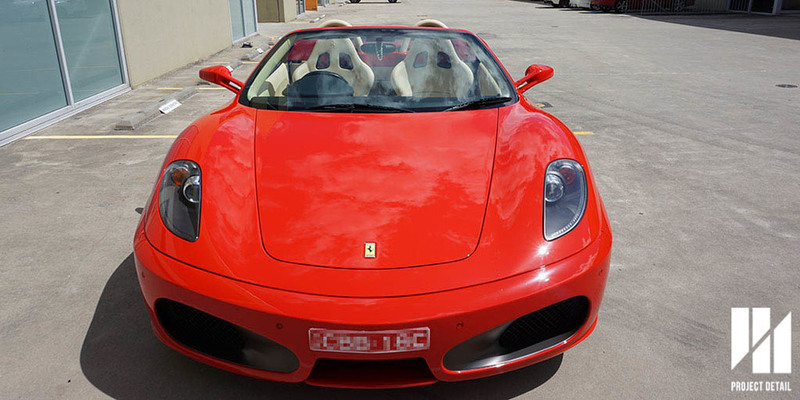 BC-05 is considered the flagship coating for Modesta, highly hydrophobic, extremely thick giving a strong resistance to physical abrasions and chemical etching and finally an unreal level of gloss is attained one the coating is cured. Infrared curing is mandatory for Modesta. It results in a harder and full strength coating. The curing process for Modesta is a lengthy and technical process. 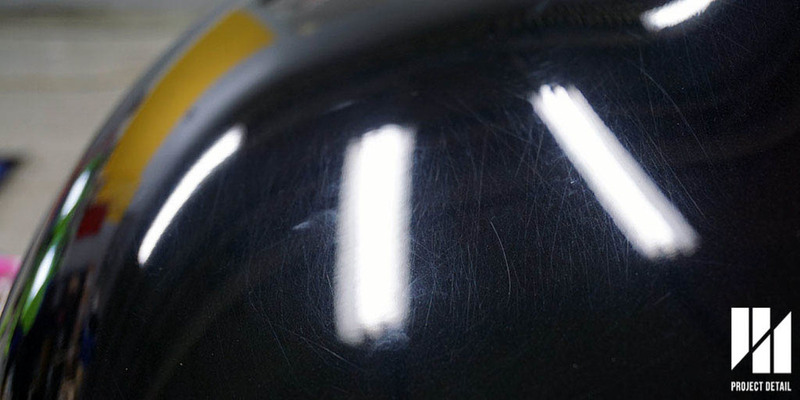 Many coatings proudly display the use of infrared curing and while the lamps do speed the process dramatically as with Modesta the chemical compound of those coatings do not require infrared curing. Modesta does not reach full strength unless it is cured with infrared, this is an important point of difference versus other coatings. While some may see this as a drawback, the results are the contrary. The end results of a Modesta coated care at full strength is something only the installer and the client will experience. Gorgeous leather in Carrera Red and Black Two Tone finish, detail complete. 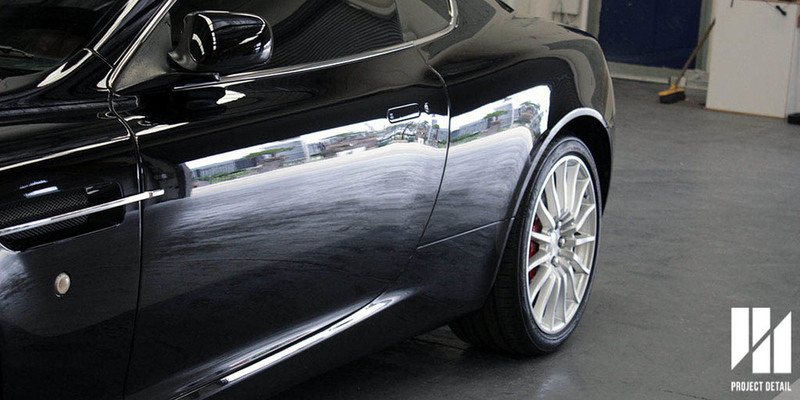 The Panamera took us 3 days to complete, in addition to body work we also coated the wheels in BC-06 Heat Resistant Hard Glass Coating and also detailed the interior of the Porsche. 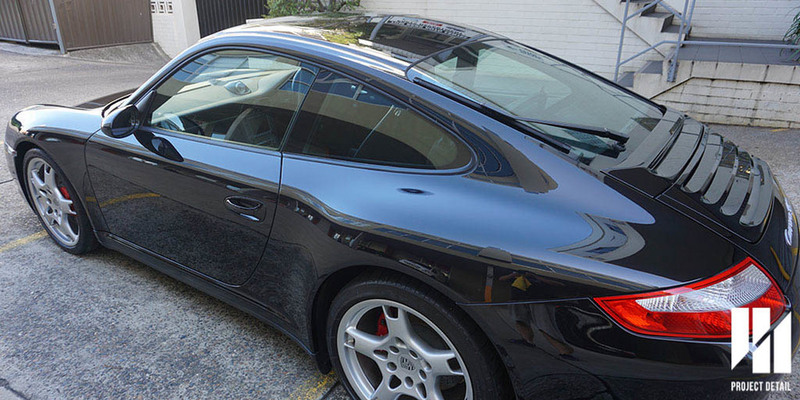 The owner had chosen a very striking Carrera Red and Black Two Tone finish for the leather. 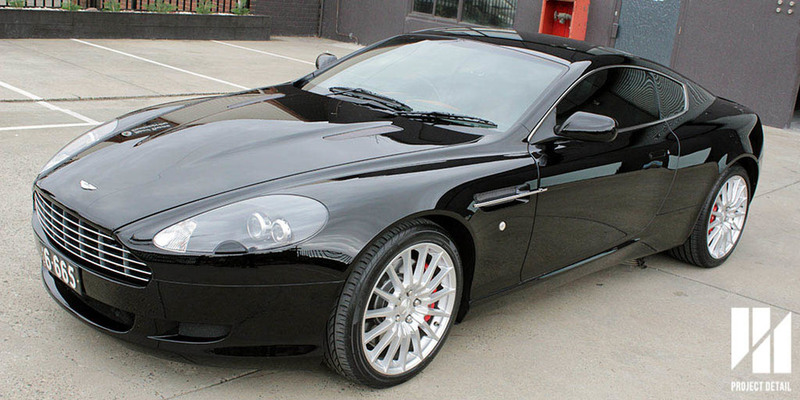 This was deep cleaned and conditioned with Swissvax Elephant Fat (synthetic) and treated with Swissvax Leather Milk. In addition to the leather treatment, we also steam cleaned all upholstery and carpeting. 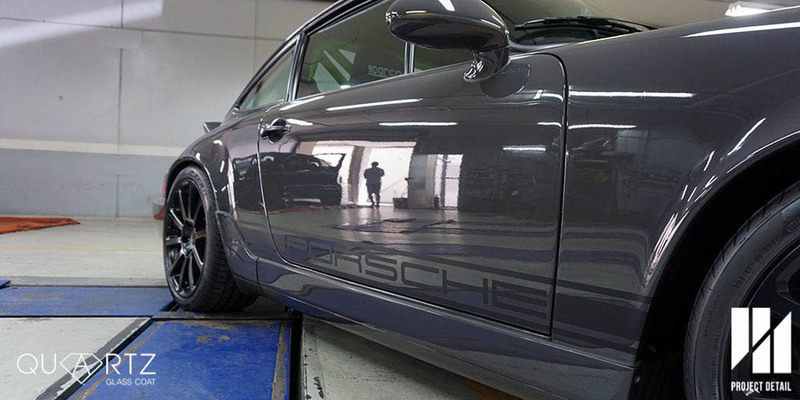 The final results of the Porsche Panamera were complete. 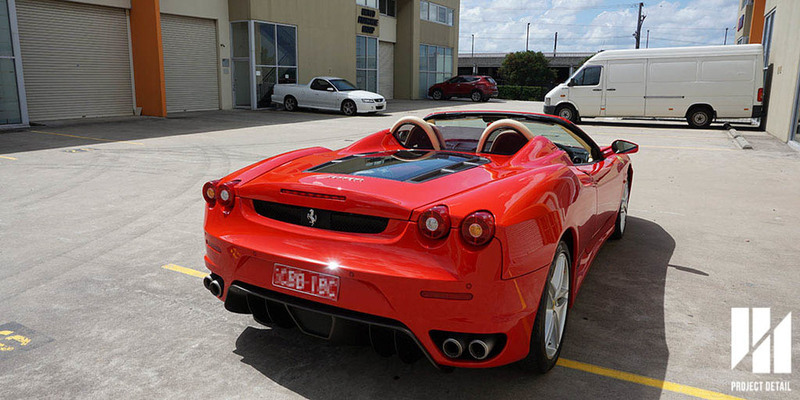 The vehicle was now rejuvenated to match the owners new found love for the vehicle. From a car bought without much thought to the owners new daily driver replacing his Cayenne, the Panamera now has long term protecting for years not weeks or months. 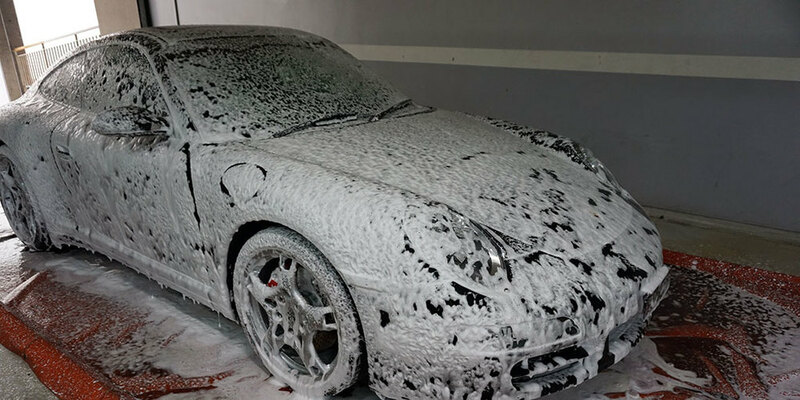 Please take your time looking through this slide show, showcasing the the finished results of the Panamera. 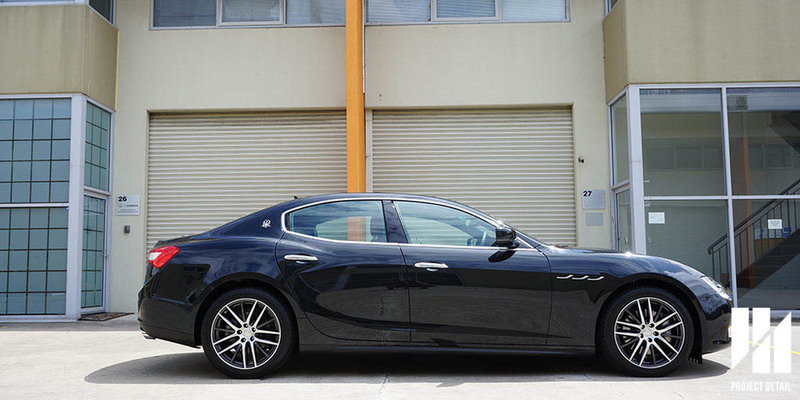 If you have a vehicle you would like rejuvenated or a new vehicle protected with an exclusive coating like Modesta, consider contact Project Detail by clicking here or check out our other projects.